360 questions about the Tour plus a bonus DVD. That is, 60 pages containing 6 questions each. Either you throw a (non-included) die to decide which is your question, either you decide what question you want, bearing in mind that the higher the number, the more difficult the question, but the more points you can gain. Mmm... deep tactics here. My favourite part of the game are the Roger riders shown on the cover. Of course, there are no Roger riders inside and no questions about cycling figurines either. 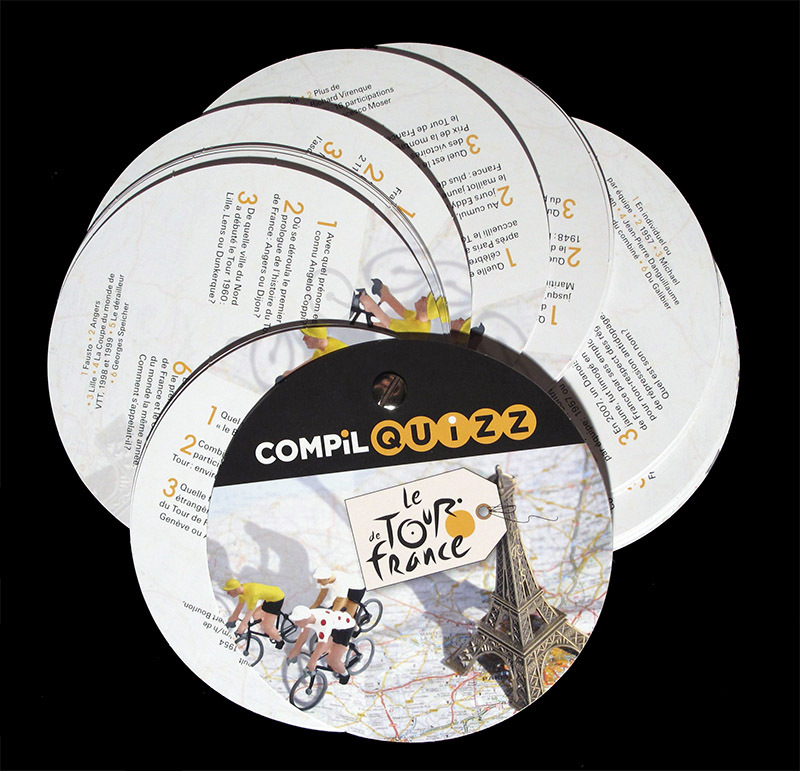 The DVD Contains a 100-minute long film about the Tour (in French). Although this game is copyrighted in 2013, the DVD just covers the Tour until 2003. It will probably not hurt to watch it before playing the game, but they look like two different projects packed together. 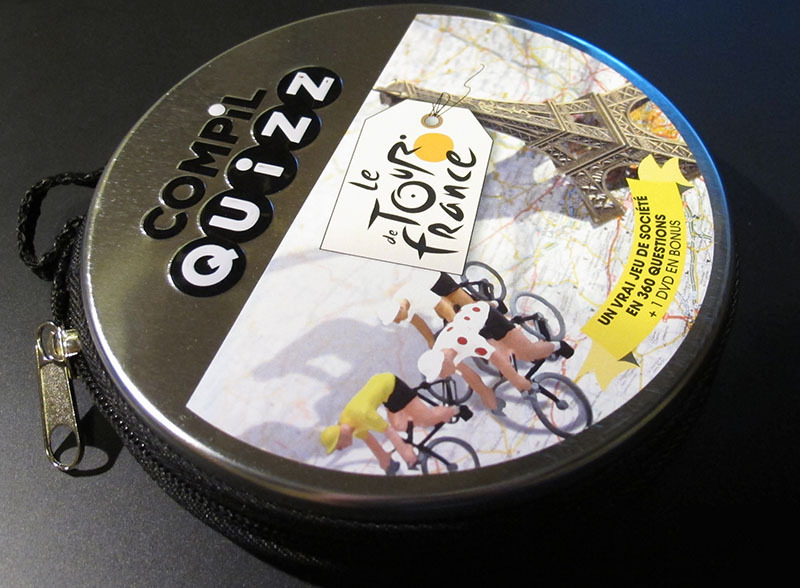 There is another cycling-themed game buy the same publisher. If you want to know more (do you really? ), here's the publisher's website.